Regular readers of Morgan's Milieu know that my boys are 7 and 12 years old and we regularly play games together. It could be computer games or board games, either way you're spending time with your children having fun. The games we like to play depends on what kind of mood we're in and how much console games the boys have played recently. Below you can see my game suggestions and what I think of them. Paint your base with your colour using paint guns, huge brushes, paint bombs... Paint your opponent's area in your colour. But beware - they're trying to do the same. The winner is the team with the largest coloured area. LP and BP love this game, and to be honest it's quite fun. I struggle a little with the controls but once you've practised it's a little easier. The boys shout and shriek when playing but I think we all do at some point. It's a great family game that will have you laughing. 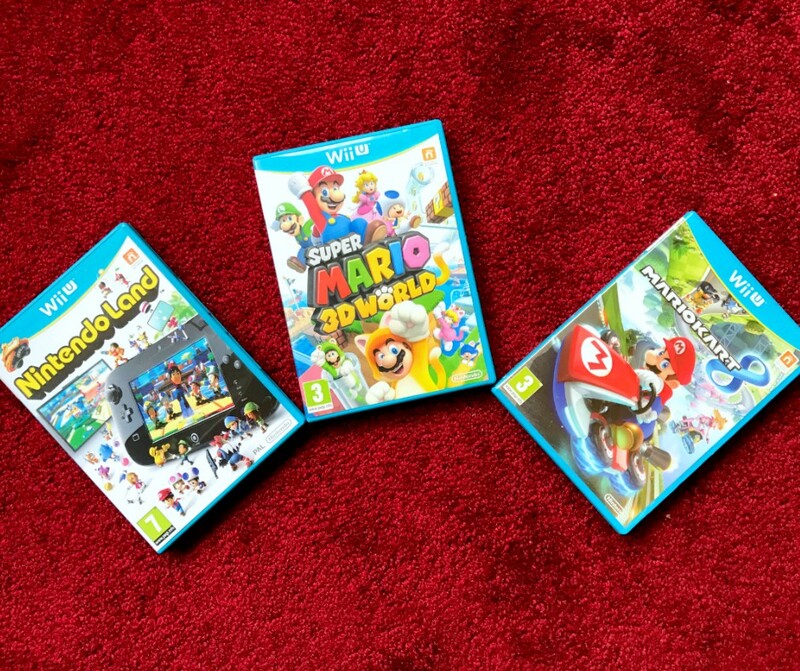 Released in November 2012 NintendoLand was made to showcase the gamepad on the Wii U. As it turned out this was one of the games we played most during the Christmas break in 2012. You can team up in mini games like The Legend of Zelda: Battle Quest, Pikmin Adventure, and Metroid Blast. You can compete with each other in mini games like Mario Chase (our favourite! ), Luigi's Ghost Mansion (another great one), and Animal Crossing: Sweet Day. The competing is best, it's usually one against the rest (2-5 players) but it's so much fun. It's especially funny when the younger ones get the gamepad and hide in the corner so no one can see the screen. LP loved doing this and finds it really funny when, in Mario Chase, we can't find him! 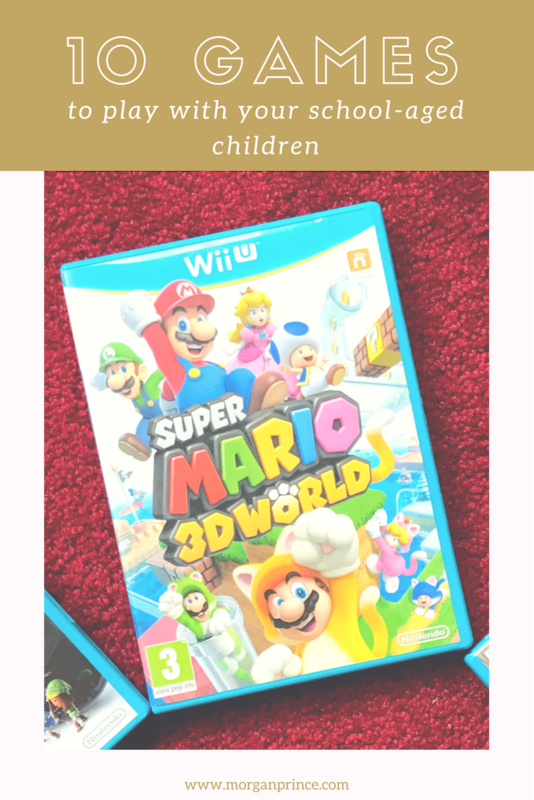 Definitely not a game for those who are easily frustrated Super Mario 3D World is a classic platform game with a modern twist. For a start, unlike the original Mario games it is 3D, this makes it easier (sometimes) and harder. With four little characters all running and jumping around on screen it can get confusing as you try to work out which character you are but you also end up laughing as you all die at exactly the same point. Sometimes it works to your advantage; you die but return in your bubble to continue the game as your friends/family die next, therefore making more progress than you would've alone. Again on the Wii U Mario Kart is probably the family console game I enjoy the most. It's competitive but there's no dying, no silly jumping to avoid bad buys, and everyone can finish. Choose your Nintendo character (Mario, Princess Peach, King Boo, etc) and race around a track in your chosen vehicle, be it kart or bike. Not only that but you get to attack your family (not literally - just in the game!) with banana skins to make their kart slip, with shells to make them pause for a few seconds, or an upside-down question mark box which explodes when they try to collect them. Mario Kart is the most fun you can have with your kids on a console (so far). Okay so you must've known this was coming. Not only do I love Lego but I love the Lego games too. Lego Dimensions is similar to Skylanders and Disney Infinity in that you have real life characters to put on a 'portal' that will transport the characters into the game. Once in the game your character (you) makes their way around the Lego world destroying and building things along the way. With packs like Back to the Future and Portal you'll be transfixed on this game for a long time. Having your children play too means you can work together to beat the bad guys or build quicker. While playing video games is fun and we all (most of us) enjoy it from time to time, getting away from the screens and actually interacting is also good. That's why I'm suggesting playing board games with your children too. Easy to follow, anyone can play, and it's all down to the luck of the dice. You could become a Millionaire or you could end up broke, either way it's the playing that is fun. Your children will enjoy reading out instructions and moving their pieces around the board. A brilliant family game. 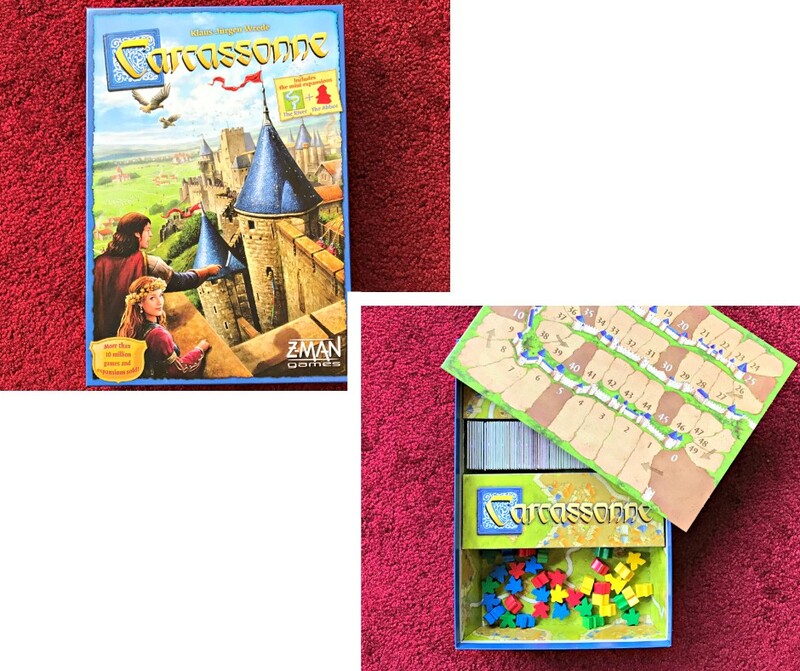 Carcassonne is a hilltop town in southern France but for this it's a tile-placement game in which the players draw and place tiles with French countryside on them. The tile could feature a city, a road, or grassland, and must be placed adjacent to an already-placed tile. You have small people shaped figures called "meeple" which you place on roads or in cities to "claim" them. It all sounds complicated but once you've read the rules and played a couple of times it soon becomes clear and you'll be enjoying this game for many years to come. 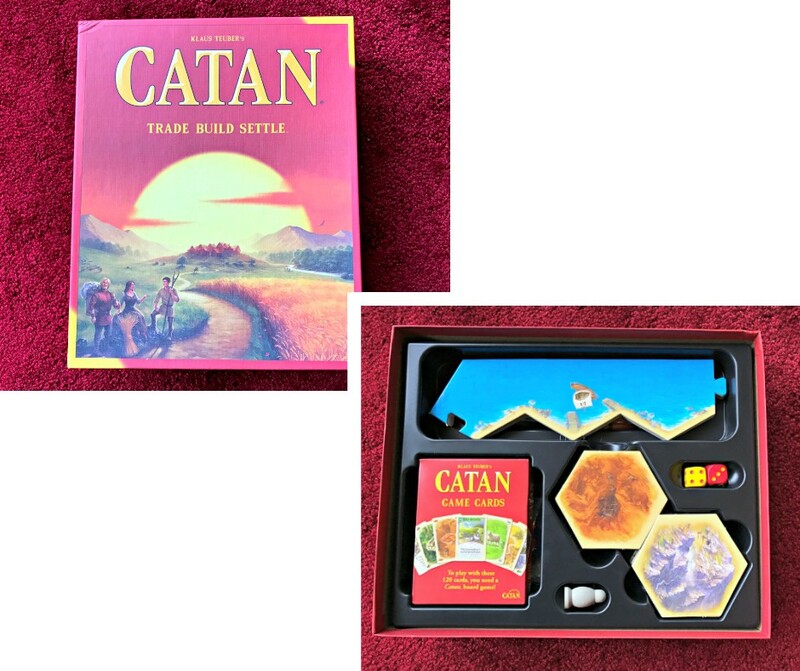 The idea of Catan is to build your roads and settlements in order to gain "Victory Points", if you get to 10 Victory Points you win the game. It sounds easy but the game can take a while to play and there's a Robber and various other things that could stop you from gaining those all important Victory Points. You play against one another in this game and collect resources to help you build your settlements. A little complicated for a 7 year old but LP manages to follow the game just fine if he has help. The boys both love playing this one. This game is based on trains and train tracks throughout America. At the start of the game you choose 3 routes and you then have to try to place your "trains" on the board to complete the route. Collecting coloured train cards to help your placement and opponents blocking your way are all obstacles. This is LP's favourite board game at the moment because he can play unassisted. BP loves this game because he can use his own tactics and doesn't have to compromise with anyone. The Hubby and I love this game because we can all sit at the table and play together. Okay so this one is a little bit of a cheat as it's not really a board game. 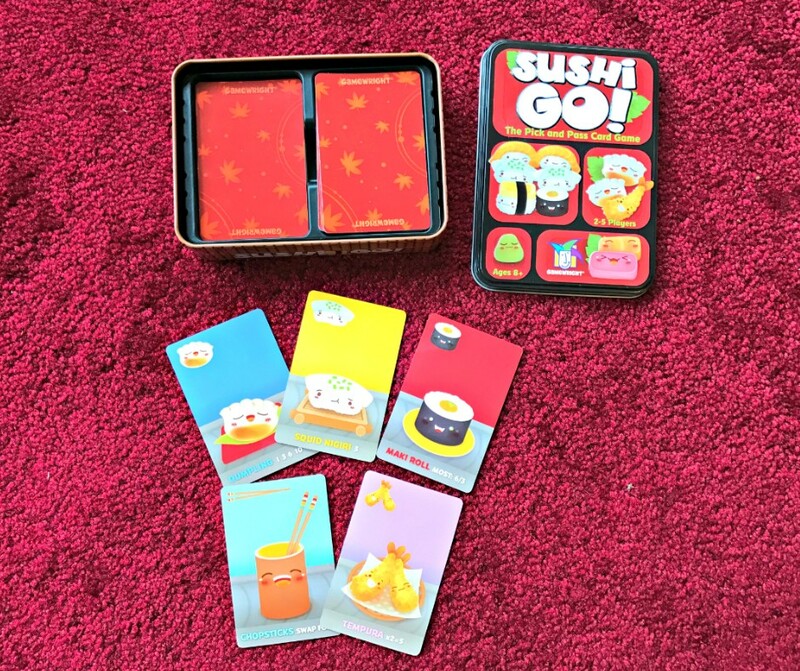 However if you're after a game you can play quickly or that you can take with you on a trip then Sushi Go! is it. This simple card game is easy to follow and quick to play. Collect sushi of your choice and gain points for your choices. Points are given or taken away depending on your choices. What do you need to play? The Sushi Go! cards, a table, and a pen and paper to keep score - that's it! So there you have it, 10 of our favourite games to play with the boys. There are many more we play but I'm saving that list for later. 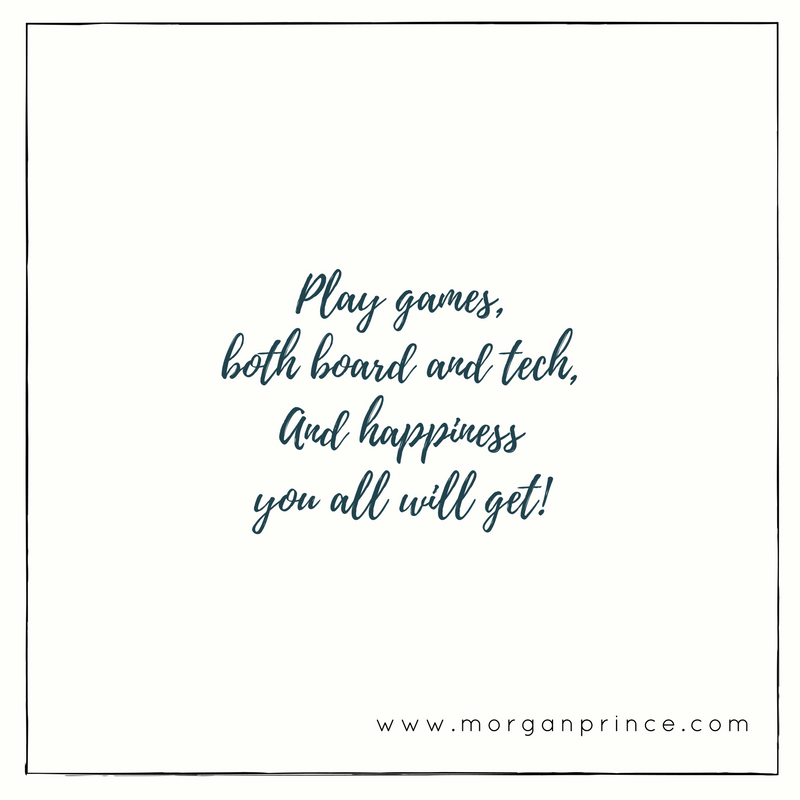 What games do you play with your children? Great game choices! As well as various video games, we like to play Uno and good old fashioned dominoes is always fun! Whatever we play it always tends to get a bit loud and there 'may' be some cheating! I love a night of board games and snacks. Ohh! I haven't heard of some of these games...They sound like so much fun! I LOVE MarioKart - we've had a few versions so far and I'm sure there'll be more! Oh that's a shame! But there are plenty of other games to choose from, we have a growing collection and love most of them. Monopoly is great isn't it? It's just a shame it takes hours to play, we have to plan to play it so we can allow the hours necessary!